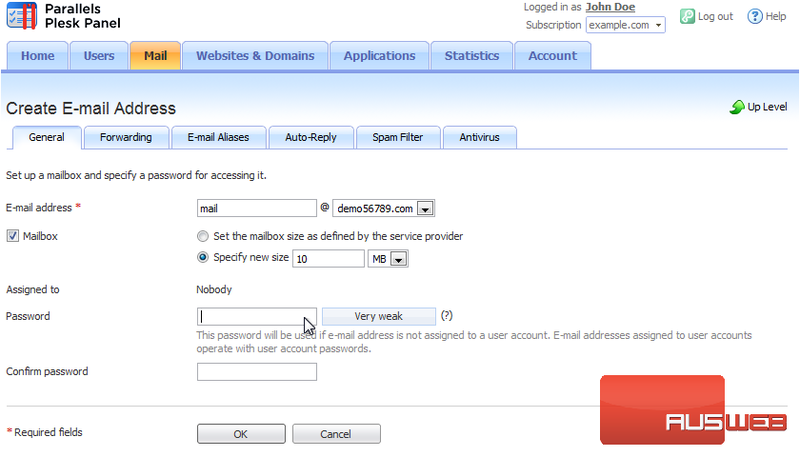 2) E-mail accounts are associated with a domain, which is then associated with a subscription on your Plesk account. 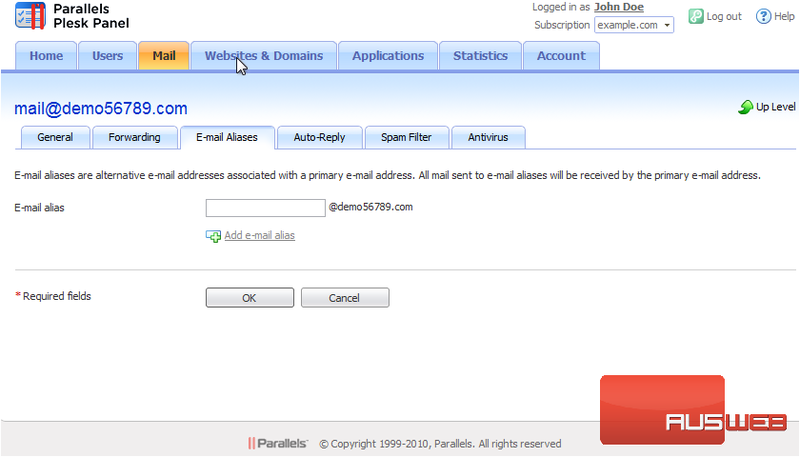 Click Create E-mail Address. 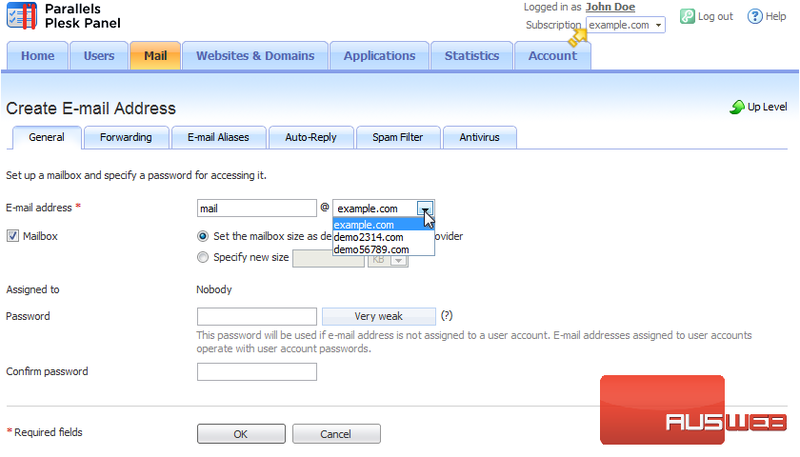 4) If you have several domain names on your account, select the domain name under which the e-mail address will be created. The domain names in this list are associated with the active subscription shown here. 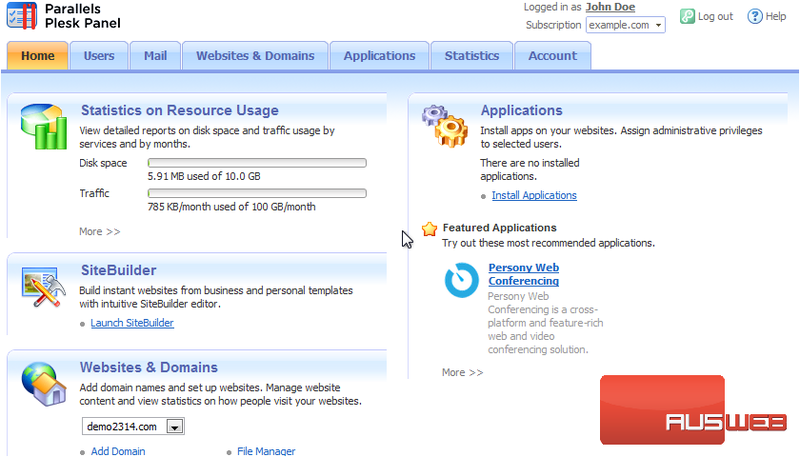 If you don’t see the domain you want, try choosing a different subscription. 9) This page shows the same settings we saw when first creating the account. 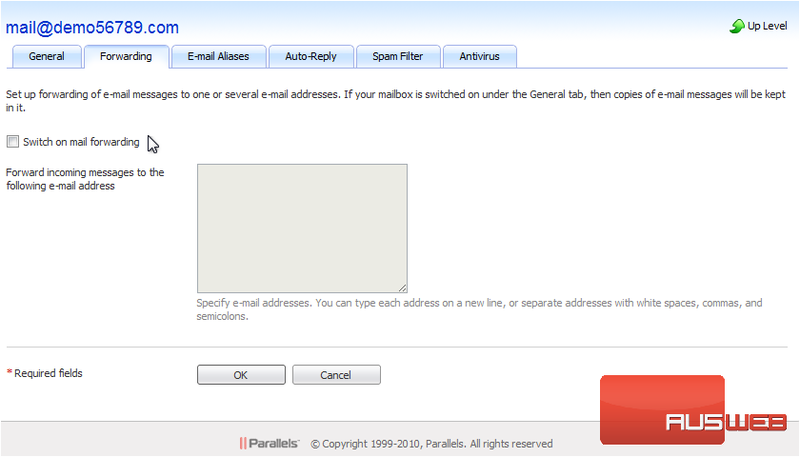 Click Forwarding. 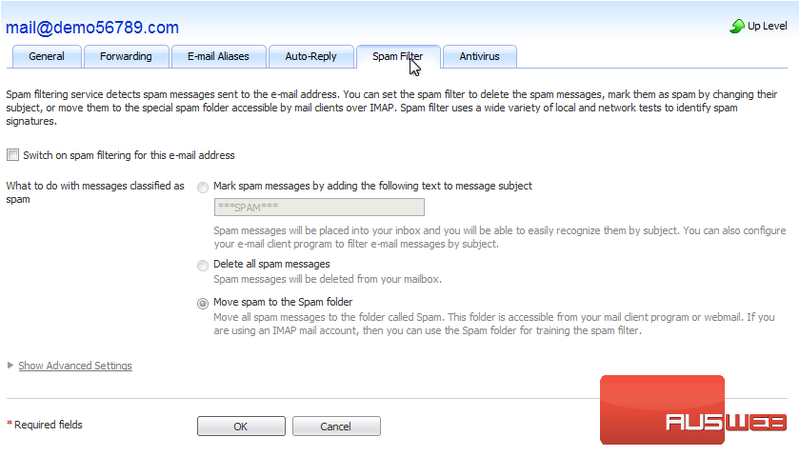 The spam filter detects spam messages sent to the e-mail address, and, depending on the chosen settings, deletes them, moves them to the spam folder or marks the messages as spam. 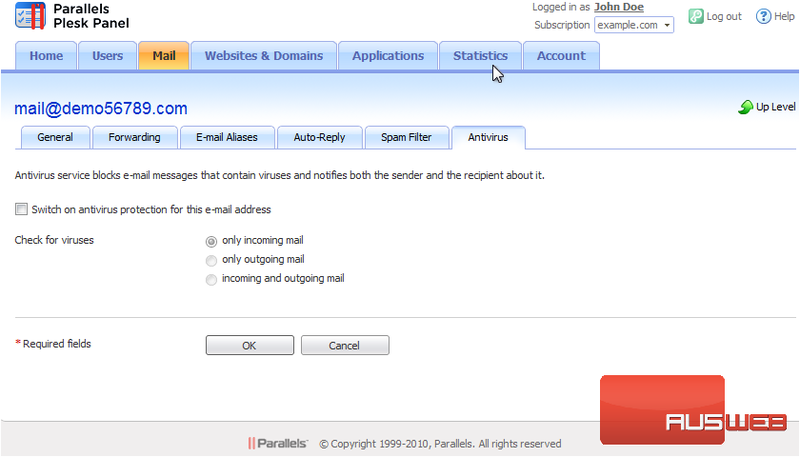 10) The antivirus service blocks e-mail messages that contain viruses and notifies both the sender and the recipient. These tabs will be covered in more detail in the following tutorials. Click OK to save any changes. 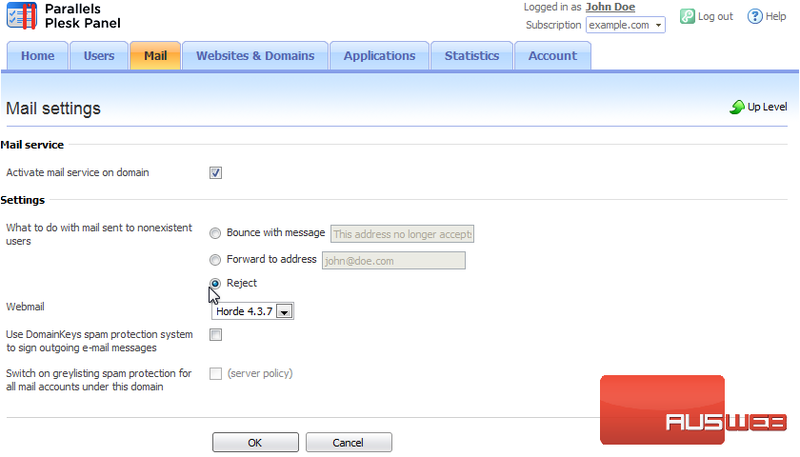 11) To configure the mail service settings that apply to all domains created under a subscription, click Change Settings. 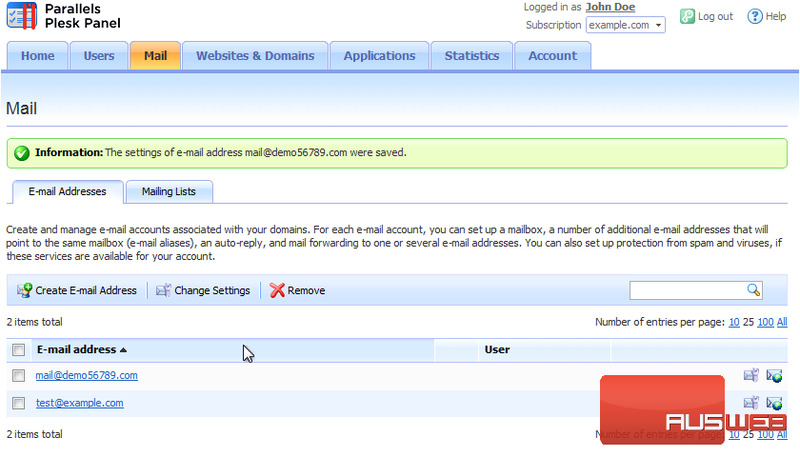 12) You can switch the mail service on or off. If the mail service is switched off, e-mail messages cannot be sent or received. 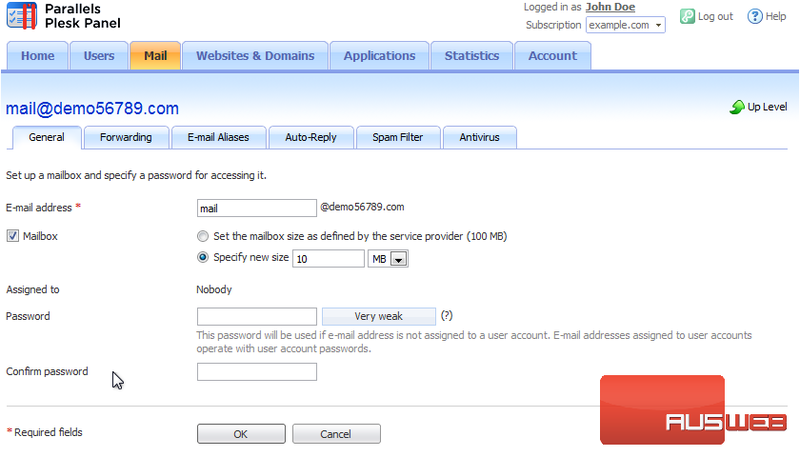 When somebody sends a message to an e-mail address that does not exist under your domain, the mail server, by default, accepts mail and processes it, and when it finds that there is no recipient under the domain, it returns the mail back to the sender with an error message. 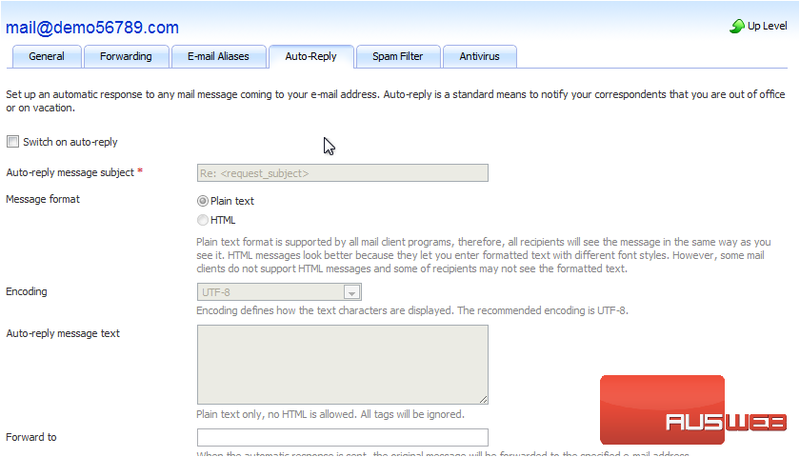 You can choose to bounce the message back to the sender with a message you specify, forward the e-mail to another address, or reject the message without notifying the sender. We’ll leave it as Reject and click OK.
That’s it! Now you know how to create and manage e-mail addresses and change the mail settings for each subscription on your account.